Bronwen and Kieran spent 8 hours at the Children’s Hospital last night. Kieran quickly developed a bad cough yesterday, and when all the x-rays and tests were done, it turns out he has an early case of bacterial pneumonia, plus sinusitis and possibly an ear infection. Needless to say, he’s pretty grumpy and last night was pretty rough on everyone. It’s going to be a few days before he’s back to his usual happy self. 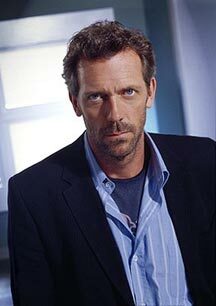 On a somewhat funny note, Bronwen and I channeled Dr. House as his symptoms grew worse. He has a diaper rash, and the other day a couple of the red areas had white marks on them. I’m sure it was just residual diaper cream, but we both thought that maybe the diaper rash had sparked some kind of bacterial infection that was quickly taking over his body. Damn you, television, damn you.